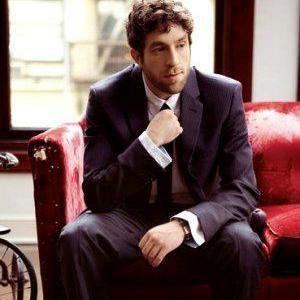 Elliott Yamin (born Efraym Elliott Yamin on July 20, 1978) is an American singer who is best known for the hit single "Wait for You" and for being the third runner-up on the fifth season of American Idol. On March 20, 2007 he released his self-titled debut album, which sold 90,000 copies its first week and debuted at #3 on the Billboard 200. He is credited with the highest first week sales for an independent artist debut in SoundScan history. The album was certified Gold in the US and Japan. He completed a nine month tour in late 2007, which included clubs and theaters across the U. ., as well as shows in Canada, the Philippines, and Malaysia. In 2008 and 2009, he played several shows at Billboard Live venues in Tokyo, Osaka, and Fukuoka, Japan. His single "Wait for You" was #11 on the 2007 year-end Billboard Pop 100 Airplay chart and was certified Platinum in October 2008. His sophomore album, Fight for Love, was released on May 5, 2009. The title track was released as the first single to digital music outlets on March 10, 2009. Please check out his website www.officialelliottyamin.com for updated information.